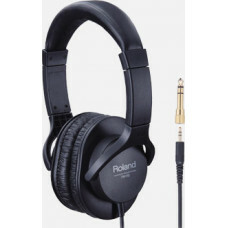 The RH-5 headphones are are perfect for electronic musical instruments such as Roland’s digital pianos and V-Drums. Equipped with high-performance drivers and large-scale housings, these headphones provide quality sound and a comfortable fit. From musical-instrument practice to audio-playback applications, RH-5 delivers exceptional performance.